Celebrating Wisdom allows the power of children of all ages to flourish as Virginia Swain did in 1991 after her experience with street children at the Earth Summit in Rio de Janeiro and in the 1991 Celebration event. We were convinced of the power of children for the UN event. Later that year at the United Nations, we offered the Celebration event that invited children’s groups to present their thoughts about how to make peace. We are still inspired by the performances they designed and by what they had to say. Today’s children are global citizens in their innocence, generosity, and sense of awe and wonder, and in their curiosity, creativity and cooperative nature. They have much to teach us and need to speak and be heard in intergenerational settings without being manipulated or controlled by adults. Experience some reflections of the Celebration of the Children of the World model for building global community. This cornerstone event, the Celebration Model, evolved into the Institute’s Peacebuilding Process of Reconciliation to Develop Political Will. Since 1992, there have been dozens of implementations of this reconciliation process. Building on her 1992 effort, she presented her work as her Masters Thesis for Lesley University and at the Re-Imagining the Urban Environment: Strengthening Collaborative Relationship in Inner Cities conference where she published “The Peacebuilding Process of Reconciliation” in the proceedings by the same name by Mattai, P. Rudy et al.,Buffalo, NY: SUNY at Buffalo, 1997. Her earlier work, Children as Leaders, can be found here. 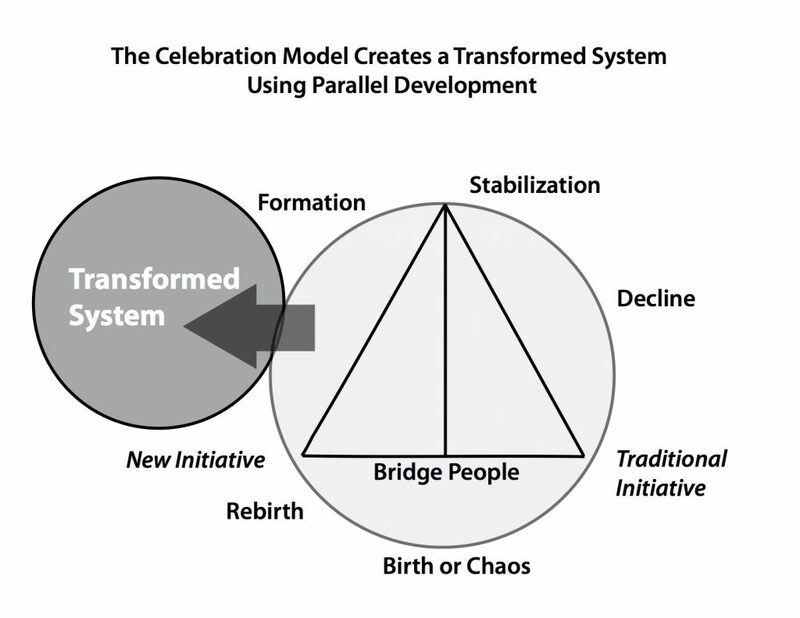 This diagram illustrates how the Celebration model was conceived and presented in Virginia Swain’s thesis at Lesley University. To read more of the thesis history and creating safe space in a sacred container, click here. In a universal call to action to transform our world beyond 2016, United Nations Secretary-General Ban Ki Moon says young people will be the torchbearers of the next sustainable development agenda through 2030. We help children prepare for this challenging role. Watch Imagine Worcester and the World Television shows with former child soldiers Salifu Kamara and Grace Akallo and her family. 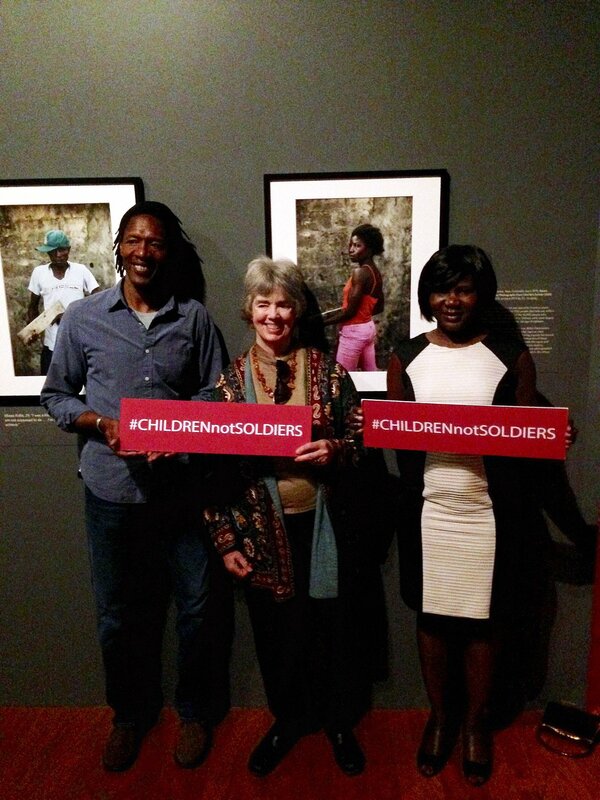 Grace Akallo is pictured (below right) with Virginia Swain and Andre Lambertson. Among our torchbearers are all the children and adults who contributed to our Celebration Model. In recent years, our torchbearers include Tsering and Yeshi, Casey and Elliott, Olivia and Shane, Caleb, Caleb E, Gong and the Nelson Place 3rd grade children. 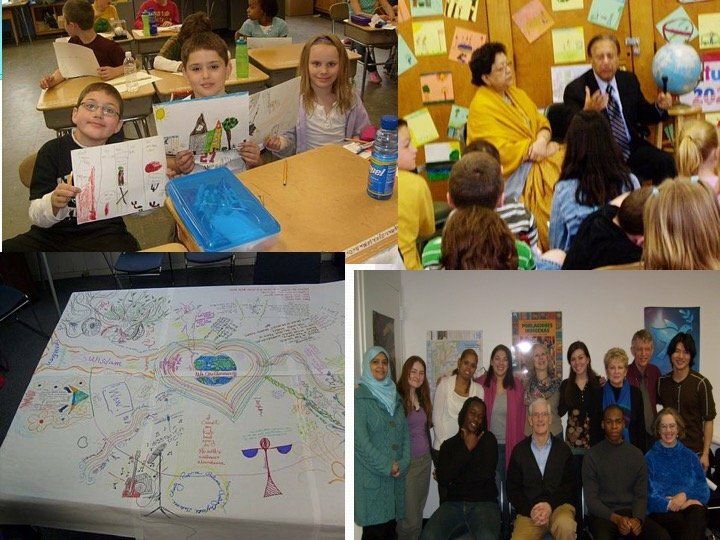 The third graders told United Nations Ambassador Anwarul K. Chowdhury about their climate change project, the first of our series to have world leaders listen to world leaders..
Children of all ages are often seen as merely requiring to be taught with little to offer the public discourse. Even when children are identified as having something to contribute, too often they are not protected. For example, child survivors of war are asked to address audiences about their experiences, and in the process, and are re-traumatized. The Institute affirms that the present is held in trust for future generations, with “leaders made strong by vision, sustained by ethics and revealed by political courage that looks to the longer term as outlined in “Our Global Neighborhood,” the 1995 report issued by the 1995 report issued by the Commission on Global Governance. 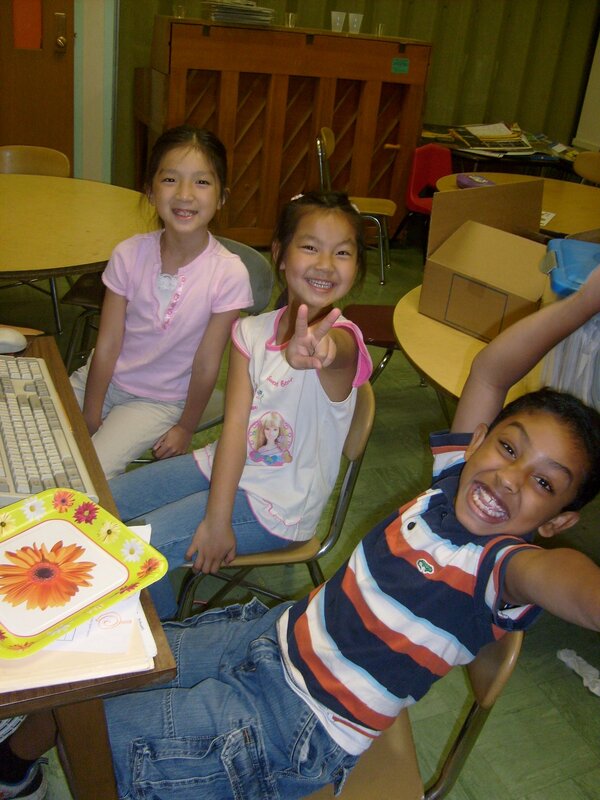 Today, the Institute uses art, technology and education to create intergenerational environments where the voices of children of all ages can be encouraged and heard. It is vital that generations learn from one another. Together we can flourish. At the Institute we honor the voices of visionary children and wisdom figures as we go forward into our Celebrating the Wisdom of Children of all Ages Project.